• Commentary - in this brand new selected-scene commentary, sound mixer Drew Kunin and production designer Bob Ziembicki discusses some of the locations that were chosen for different sequences; some particular stylistic choices; the film's unusual blending of humor, violence, and the metaphysical; the image of the west that is promoted in the film, etc. The commentary was recorded exclusively for Criterion in 2017. • Q&A with Jim - in this new program. dierctor Jim Jarmusch answer a series of questions that were gathered after Criterion invited fans to submit them in 2017. In English, not subtitled. (48 min, 1080p). 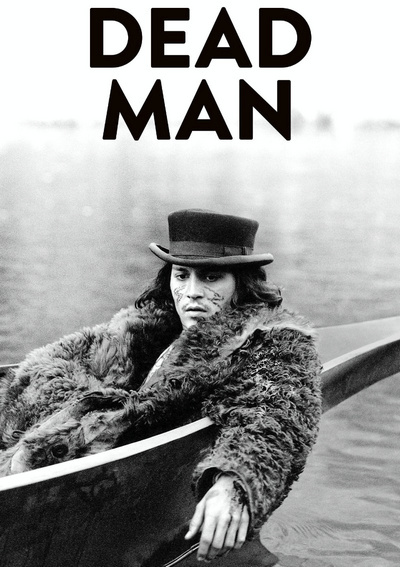 • Gary Farmer - in this new video interview, actor Gary Farmer (Nobody) recalls his first meeting with Jim Jarmusch and discusses his contribution to Dead Man. The interview was conducted in 2017. In English, not subtitled. (27 min, 1080p). • Reading Blake - presented here are audio recordings from 2017 and 2018 of actors Mili Avital reading from "Auguries of Innocence", Alfred Molina reading from "The Everlasting Gospel", and Iggy Pop reading from "Proverbs of Hell". They play over location scouting photos taken by Jim Jarmusch in California, Oregon, Nevada, Montana, Idaho, Wyoming, and Washington to show the look of the film to potential investors. In English, not subtitled. (8 min, 1080p). • Deleted Scenes - a large collection of deleted scenes. In English, not subtitled. (15 min, 1080i). • Neil Young - presented here is raw footage from a recording session during which Neil Young is seen performing material that will eventually be used in the soundtrack for Dead Man. The footage was shot by Jim Jarmusch. In English, not subtitled. (26 min, 1080i). • Music Video - presented here is a music video for a song from the film. The video can be seen with a recording of Johnny Depp reading a poem by William Blake. (4 min, 1080/60i). • Blake and White in Color - presented here is large collection of vintage color photos from the film's production. (1080p). • Trailer - original Miramax Films trailer for Dead Man. In English, not subtitled. (3 min, 1080p). Thank you! Good to see criterion treatment to such a good movie. Thanks for the dvd 🙂 Blu-rays are nice but hard to store on hard drives.